A Busy Day for Stegosaurus is a nicely illustrated title in Oceanhouse Media's Smithsonian Collection - a series based on popular non-fiction print titles about the natural world. The print version of this title was released in 2004 along with an audio CD. As a book app, this title sparkles, giving enormous value over its print counterpart, including narrated text that highlights as read. 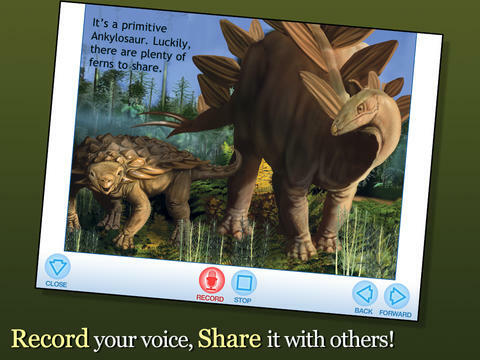 This book series fills a great need for digital book apps with non-fiction educational content. The books selected so far have been well vetted as print titles, making it easy as parents & educators to select these digital books with confidence.